The past few years I’ve been making a welcoming cocktail for Thanksgiving. This year I was offered a bottle of Templeton rye and a stipend for ingredients to create a punch for the holiday. It sounded like a slam dunk, but I am not terribly gifted when it comes to developing cocktails. I can follow a recipe, I can swap out a few ingredients but creating new cocktails is not really my strong suit. So I cheated. Meet my secret weapon, one of my favorite bartenders, Jen Ackrill. She was a fixture at Rye in San Francisco before moving to live the dream in Hawaii. 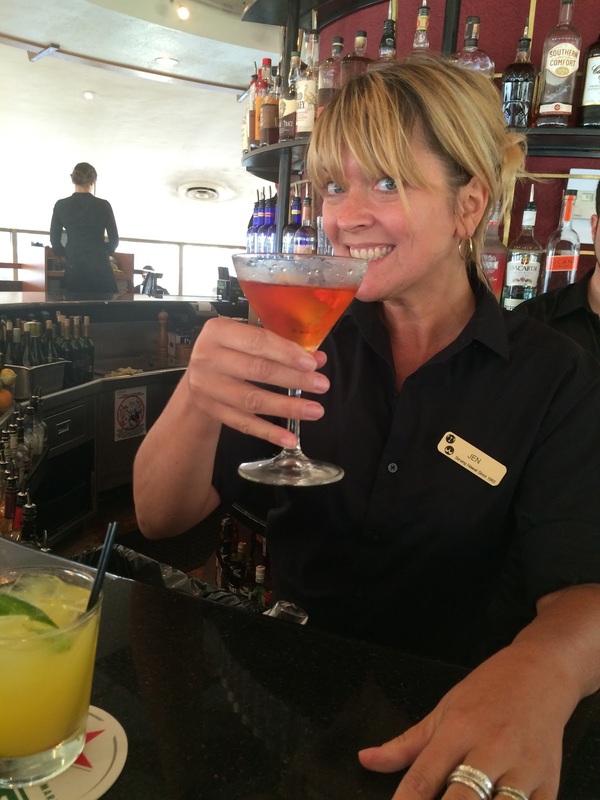 Today she is the Director of Mixology at Top of Waikiki and SKY Waikiki. I got a chance to try her revamped cocktails when I visited Oahu last year. Jen makes really, really good drinks. She crafts sophisticated cocktails, even her fruity tropical ones and she is particularly skilled with brown spirits. Her cocktails are always balanced and inviting. Next time you are in Waikiki, stop by and say hello! Seeing the sunset at Top of Waikiki, a revolving bar with incredible views of the beach and the city really can’t be beat. This punch contains my all-time favorite vermouth, Carpano Antica. I started drinking vermouth in Italy and France and it’s long been my go to aperitif. 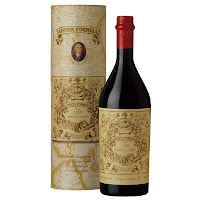 Carpano Antica is nothing short of spectacular. It’s bitter and sweet with vanilla, warm spices, orange, cocoa and toffee. Templeton rye was made during prohibition and was fabled to be a favorite of Al Capone. The current version has notes of toffee and caramel. 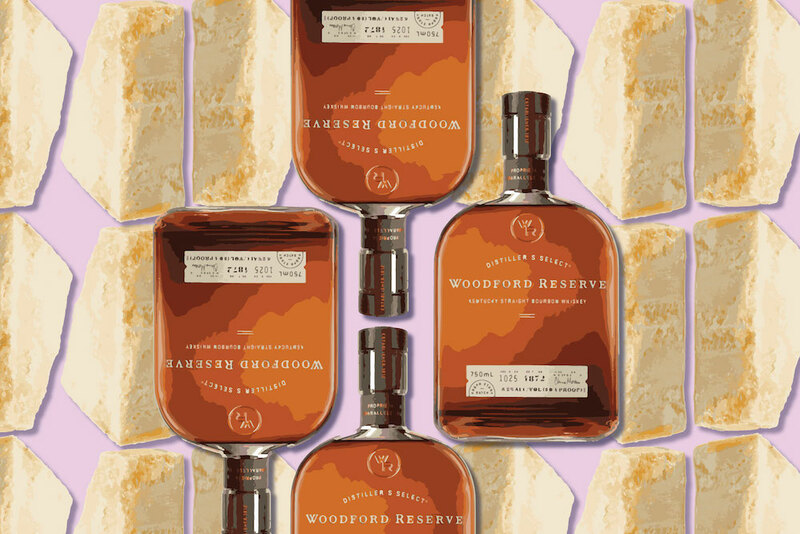 It’s sweet, lush and has characteristic rye spice and a woodsy character. I asked Jen to come up with something with Templeton rye and apple cider that a home bartender could make and this is it! 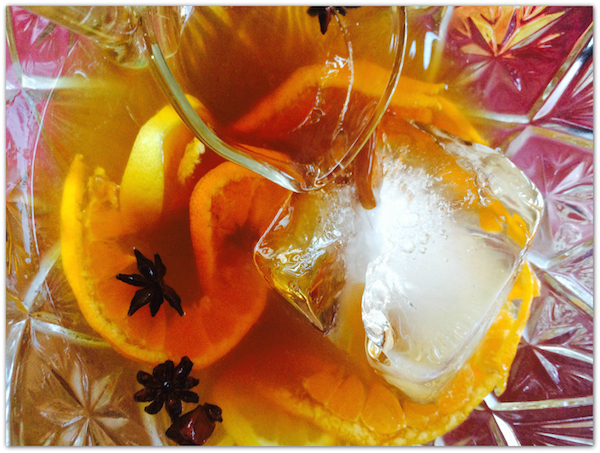 A Fall punch just right for Thanksgiving that has a lot in common with the classic Manhattan. My sincere thanks, not just for the holiday but to Jen for saving the day. Garnish with orange and lemon slices, star anise and cinnamon sticks and a thoughtful block of ice—use a fun cake pan: turkey or leaf shaped to make your ice. Disclaimer: I received the Templeton rye to make this cocktail as well as a stipend for ingredients. I was not compensated monetarily for this or any other post. Many thanks to Jen Ackrill for her recipe.